As the footy season draws to an exciting close cricket pre-season training is in full swing. The U16 squad is invited to train alongside the senior group on Sunday mornings at 10am. Come down to the Clarke Oval nets meet the new coaches Sam Fisher and Jake Stirling have a hit, roll the arm over and join in with the senior group for fielding drills. Don’t forget to tell your friends and school mates that Sunbury U16’s are back for season 2015/16 and we will see you all down at the Clarke Oval nets. We are Sunbury, we wear the Royal Blue cap. Bring it on! Are you new to the area, getting tired of travelling long distances for a game of cricket or simply need a new challenge or fresh start? Then Sunbury Cricket Club is the place for you. Come and join our team with a mixture of experience and players of the future in pursuit of the GDCA McIntyre Cup. Our home is the Clarke Oval, the centre of sports in Sunbury. We have use of the newly renovated McMahon Pavilion featuring brand new clubroom facilities and a balcony viewing area. 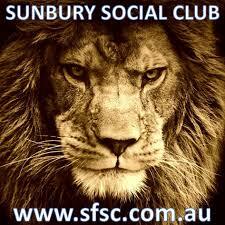 We are also partnered with Sunbury Social Club where we hold major functions and socialise in the sports bar and bistro. SCC offer something for cricketers of all ages and the whole family. We actively promote the growth of cricket through our junior player development program involving the integration of current junior players into the senior ranks under the guidance of experienced senior cricketers and coaches. SCC field junior teams in all junior age groups including U17, U15, U13 and U11. We also run the New Woolworths Junior Blast and Master Blast programs for school age girls and boys. We welcome players for all senior grades and any junior players to come down and enjoy the fun of cricket in a positive environment. For more information email the club.